The Latin music scene is about to get blown away by two young artists – LD & Jhoni. A musical collaboration unlike anything we’ve yet to see is breaking the rules with their unique fusion of salsa, reggaeton, and R&B. 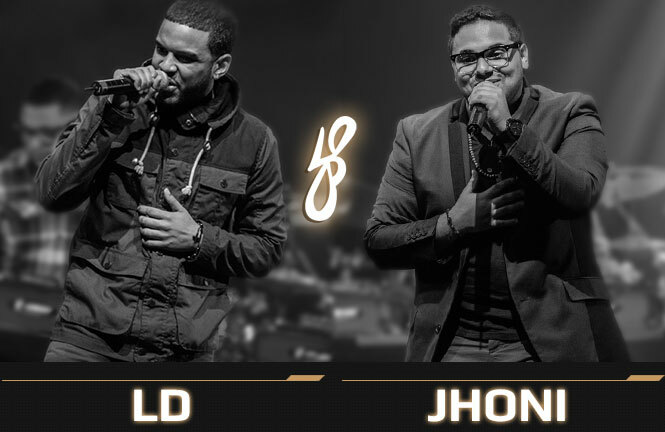 Both from the Dominican Republic, LD & Jhoni were making music at a young age. With music engrained in their souls and deep in their roots, LD & Jhoni are determined to preserve the classics and add a modern twist to it. Jhoni explains, “we don’t choose one genre. Music is music and if you look at artists like Michael Jackson or some of the greats, you notice they have a trend of not choosing one kind of music.” This in mind, they certainly have a solid understanding of the formula for creating a classic. Artists today can quickly get lost in conforming to an unoriginal sound, but when you listen to LD & Jhoni you’re immediately captivated not only by their smooth and soulful voices, but by the fact that they exhibit an inconceivable amount of passion in their performances. Treating me to an impromptu performance of their current single, “Mi Sueno” immediately won me over as a permanent fan! t’s clear that the two work nonstop. 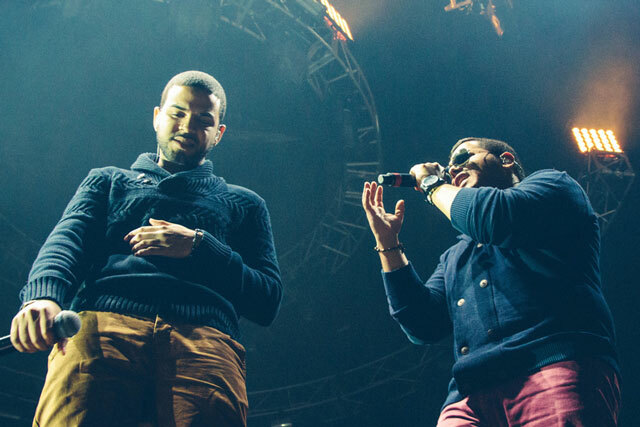 Touring the country with Juanes and Juan Luis Guerra with their first show kicking off in Boston this Sunday with Romeo Santos, the two have already performed in major venues such as the Barclays Center in Brooklyn (they were the first Latin artists to ever perform here). Noting the opportunity to open up for such Latin music legends as their “biggest achievement”. “We’re not the kind that sit around – everyday we’re constantly thinking of what we can do next to reinvent ourselves,” Jhoni explains – something incredibly important for an artist that wonders what the formula to success is. LD & Jhoni want to remind their growing audience: “We feel we’re taking what has already been done, building upon it, and keep the roots – we’re not doing what’s hip or what’s easier. We’re trying to bring back good music – the classics. The elements that brings you up and takes you back down with the different emotions within one record.” Their dream collaboration would be with Juan Luis Guerra and with their tour with the Dominican legend, it’s clear they are well on their way to achieving this goal. Find out more about Bronx contributor, Jenni Ruiza, at http://www.jenniruiza.com/.